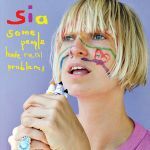 So far Sia's best album ("Healing Is Difficult" has too many low points and "Colour the Small One" is too depressing). A few songs are too similar though (for example #2 and #4, and "Day Too Soon" is a poor carbon copy od "Soon We'll Be Found"). Still, it has many high points: "Soon We'll Be Found," "Academia," "Playground," and the revolutionary, uptempo, playful ones: "The Girl You Lost (To Cocaine)" and "Buttons." "Little Black Sandals" and the cover of The Pretenders' "I Go to Sleep" ain't bad too. Bin voll bei LarkCGN, auch wenn ich 5 Jahr hinterher bin. <br>Sehr gutes Album mit vielen Balladen. It's very different from her more recent albums - definitely taking a totally different route. 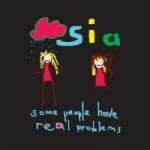 That's not a good or bad thing, just an observation for me, as the songs sound totally different to the standard Sia sound of today. This is a lot more relaxing, some interesting lyrics and more restrained and vulnerable vocal efforts. It's a good listen though from start to finish. Lentil, Soon We'll Be Found and Death By Chocolate are my favourites on here. 4.5/6.